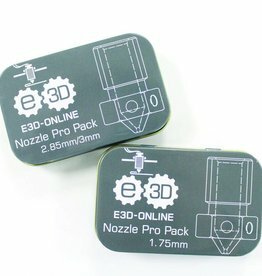 This pack is the pinnacle of nozzle prowess, featuring six of E3D most exciting, useful and experimental nozzles. 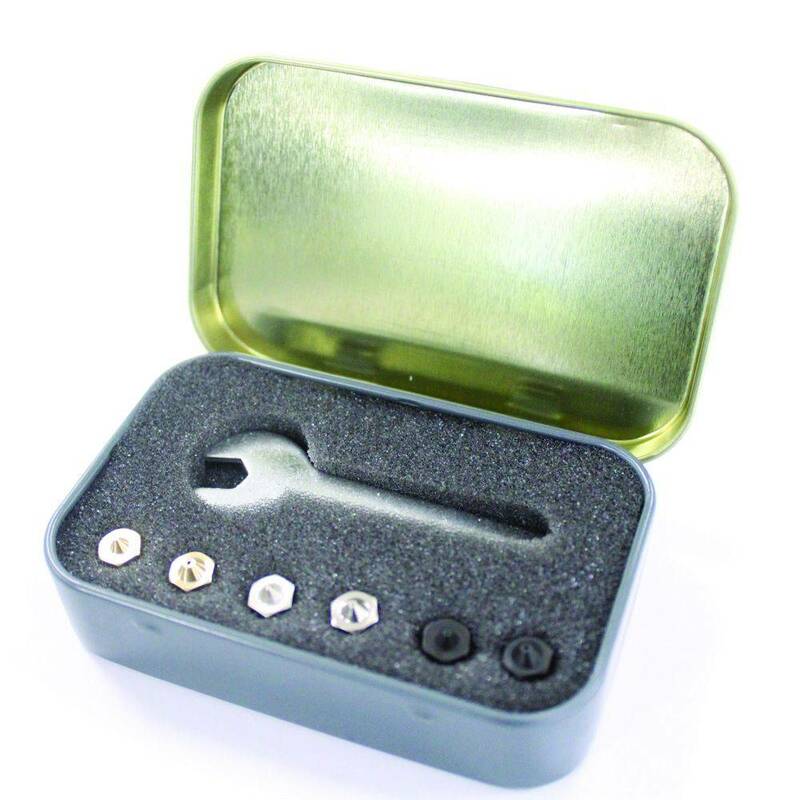 Brass, Copper Alloy and Hardened Steel all feature in this kit, matched with the sizes recommended for the most interesting use cases. The ultimate nozzle for ‘wow-factor’ tiny printing - recommended for use with high flow materials. Requires care and attention to use well, keeping contamination out of the nozzle and careful cooling but the results are worth the effort. For experienced users. For big layers, aesthetically stunning, stronger parts & faster printing. 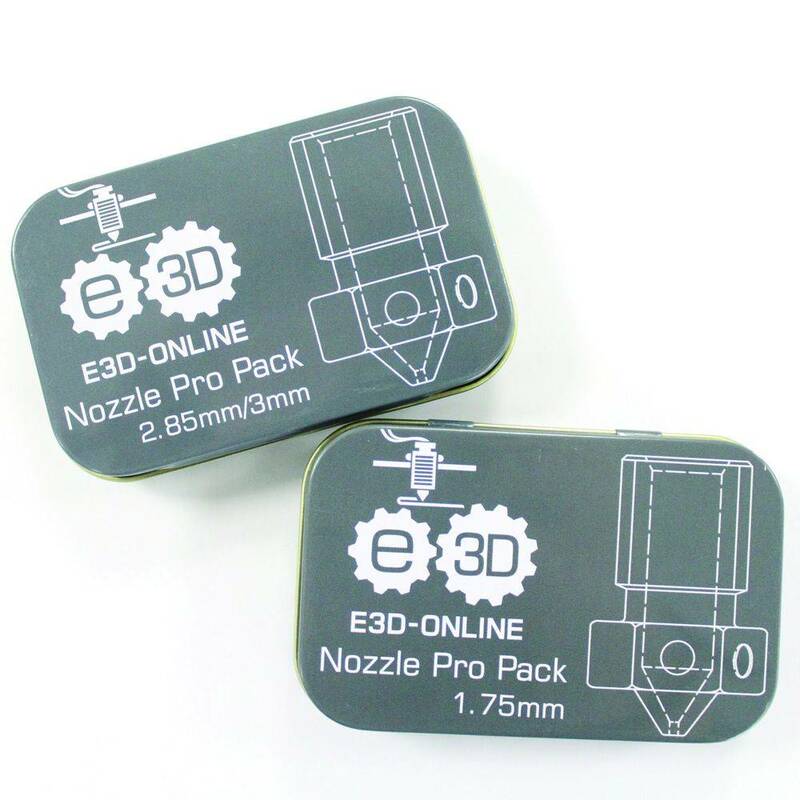 The 0.8mm Volcano nozzle was so popular that E3D introduced this 0.8mm to the standard V6 range. It's not quite as fast as a Volcano, but still lets you try this style of printing without changing your hotend. 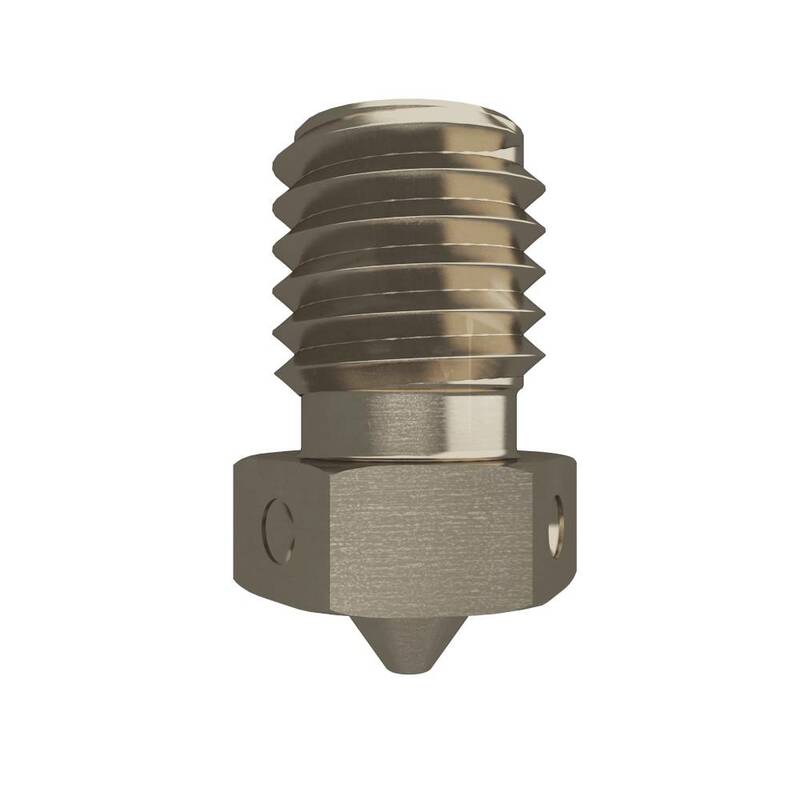 E3D ‘standard’ nozzle size of choice: a good compromise between resolution and print speed. The nickel coating has low surface energy which reduces plastic adhesion and has potential to increase flow rate. 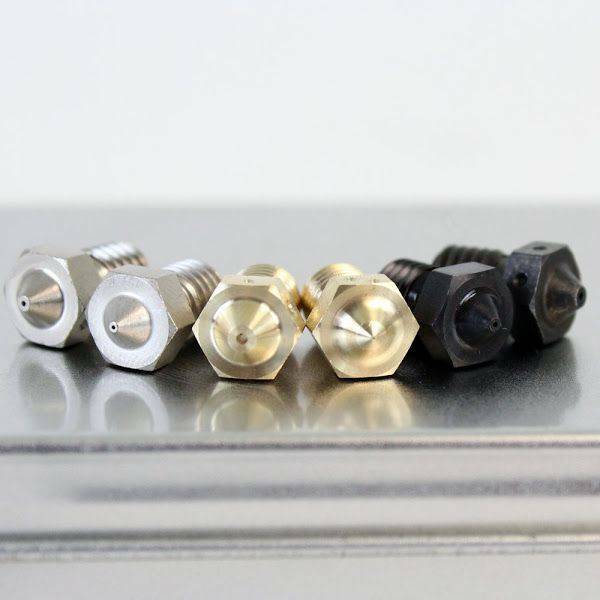 Copper alloy also performs better at higher temperatures than other nozzles. Great for sticky materials like TPUs and PET-Gs as well as extreme temperature polymers like Ultem. Harder and more resistant to exotic abrasive filaments like carbon fiber, metal-filled PLA and glow in the dark PLA. It affords a near-infinite lifespan compared to brass when printing abrasives. Achieve a fine combination of precision and speed. The benefits of hardened steel’s incredible wear resistance and strong interlayer adhesion. 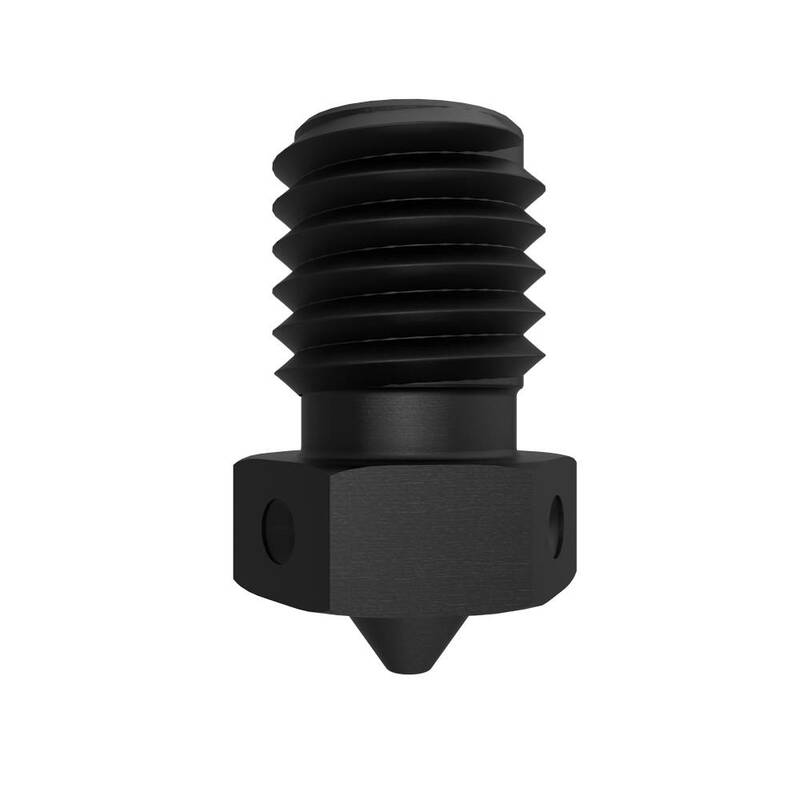 Recommended with carbon fiber composites for ultimate strength parts.